These are our personal preferences, no votes on the website, just me and Robin (and Shorty), sharing our faves. And after all these years roaming Nevada in search of its many attractions, excitements, enjoyments, comforts, pleasures and satisfactions, we know what’s good and we know what’s really good. is Larry Friedman. 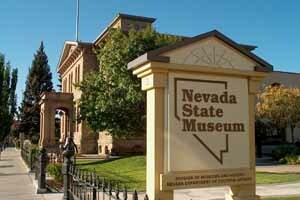 Larry didn’t restore and reopen a historic treasure as Fred and Nancy Cline did last year, but as I scan the universe of people whose efforts will make a positive impact on Nevada tourism next year, it’s Larry who stands out. Those efforts didn’t occur only this year or last, they go back into the dark ages when Larry hired on at the Nevada Commission on Tourism. 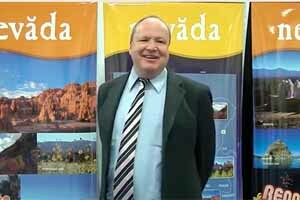 As director of rural programs he invented and has presided over Rural RoundUp, the springtime rally of our Tourism troopers that will be held in Pahrump this year. Now he is Deputy Director of Sales & Industry Partners, with a world-wide assignment, and the cumulative results from his commited involvement are a big part of NCOT’s success. Lattin Farms, Fallon. Fallon is named for Mike Fallon, whose farm became a small crossroads hamlet that grew into a village and then a town and became the Churchill County seat in 1896. Fallon has yet to become a metropolis, and agriculture is still a leading element in the local economy but no longer the only one. 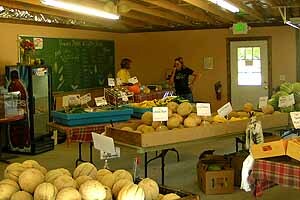 So it’s especially pleasing to see this modern-day family farm flourishing as a signature enterprise. Some of its attraction is depicted above (Fallon’s Oats Park Art Center was the Hidden Treasure for 2012) but you don’t have to wait until harvest season to enjoy a visit. Carson City. Once upon a time Carson City bragged about being the smallest state capital in the USA. And beyond that there wasn’t much more to say about it. Lately though Carson has developed an almost metropolitan flavor, enhanced at last by the opening of the freeway and the removal of the endless tide of traffic from Carson Street. Now the downtown belongs to the people again and there are even hints here and there of glamor, and of life after dark. 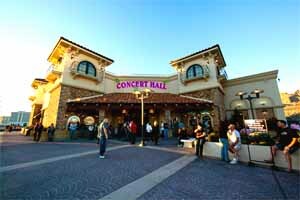 The Concert Hall brings top tier performers to West Wendover” alt=”The Concert Hall brings top tier performers to West Wendover. Peppermill Concert Hall, Wendover. This $21-million 1,000-seat hall opened in July 2006 and has been nominated as ‘Casino Venue of the Year’ by the Academy of Country Music. It’s a magnificent showcase for the top-tier entertainers it presents (Willie Nelson, Pat Benatar, Lynyrd Skynyrd, even Cheech and Chong among them) and unexpectedly intimate — every seat is within 88 feet of the stage. It’s a long haul from just about everywhere except the Wasatch Front, so folks from Utah get most of the benefit, and more power to them. 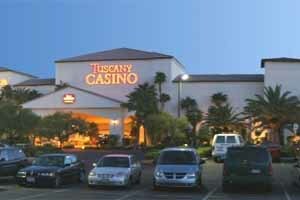 Tuscany Hotel Casino Las Vegas. Mizpah Hotel , Tonopah. We gave the Mizpah an Honorary Mention in this category when it reopened last year, and now it’s a winner in its own right. The restoration is excellent, the staff is superb, the experience is unique. Yet another good reason to stay the night in Tonopah. Tuscany Hotel & Casino, Las Vegas. This nicely-kept newish property off the Strip puts the casino action to the side so you can participate or not — even avoid it completely — as you please. The rooms are spacious and comfortable, and every amenity is offered, in-room and out. My fave in the City of Lights. Windmill Ridge, Alamo. This new property in the beautiful Pahranagat Valley offers serenity, comfort and wi-fi. 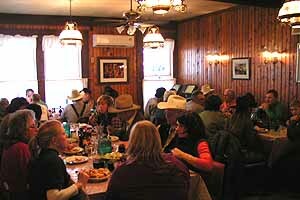 The restaurant prides itself on grandma-style cooking, including the fresh-baked bread and other delicacies. Lodgings are 15 spacious new faux-log cabins. Pietro’s Famiglia Ristorante Italiano, Sparks. Upstairs in what was once a railroader hotel, this pleasing restaurant is unique in having a romantic crooner, Richie Ballerini, performing Friday, Saturday and Sunday nights. Martin Hotel, Winnemucca. A traditional Basque Hotel, ‘home-made’ meals served family style with a full bar offering the traditional Picon Punch. Friendly, fun and delicious. Tiffany’s Cafe, Las Vegas. Call it a greasy spoon or a dive cafe, this old-fashioned diner is inside the defunct White Cross Drugstore near the Stratosphere Tower. It’s been serving locals 24/7/365 since 1953 and hasn’t changed much, even when the drug store died around it. Wolfgang Puck might not like it, but the locals obviously do. 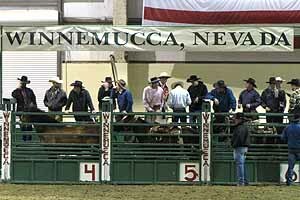 The Ranch Hand Rodeo, Winnemucca. This is my candidate for Best Rodeo in Nevada because it is a competition between teams of buckaroos entered by ranches in Nevada, Idaho, Oregon and California, and the roping, riding and ‘restling (the three Rs of rodeo) is all done in the same clothes and with the same gear they do it back home. I like the team aspect of it, and I like the fact that the teams practice and develop together in the course of their everyday work. It’s bedrock authentic and a whole lot of fun.